Nothing improves your living room like a nice big, HD, flat screen TV. And the end of financial year sales time could present the ideal opportunity for you to get a great deal on a shiny new model. Based on our customer satisfaction ratings for televisions, we’ve produced the following guide to the top brands and potentially best deals this year. On average, Aussies spend around $1,500 on their new TVs. While this might seem like a lot, when you consider some brands offer TVs in excess of $10,000, it suggests there are still plenty of people buying cheaper models and getting great deals. Indeed, there are plenty of bargains to be had, especially at this time of year, so it’s always worth to shop around. Some of the top brands in our consumer ratings for TVs include Samsung, Hisense, Kogan and LG. 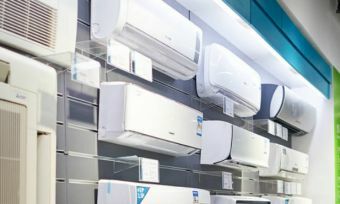 Most brands offer a wide variety of high-tech features at reasonable prices, so read on for details of what you can expect to find this EOFY sales time. Leading TV manufacturer Samsung provides a broad spectrum of both budget and high-end TVs on sale this year, with some pretty hefty discounts likely. Samsung’s QA65Q7F 65 Inch 165cm Smart Ultra HD QLED TV has a recommended retail price of $5,399, but can be found for as little as $2,750. It boasts QLED technology, which is a layer of quantum dots that gives you a range of colours similar to the technology used in films. 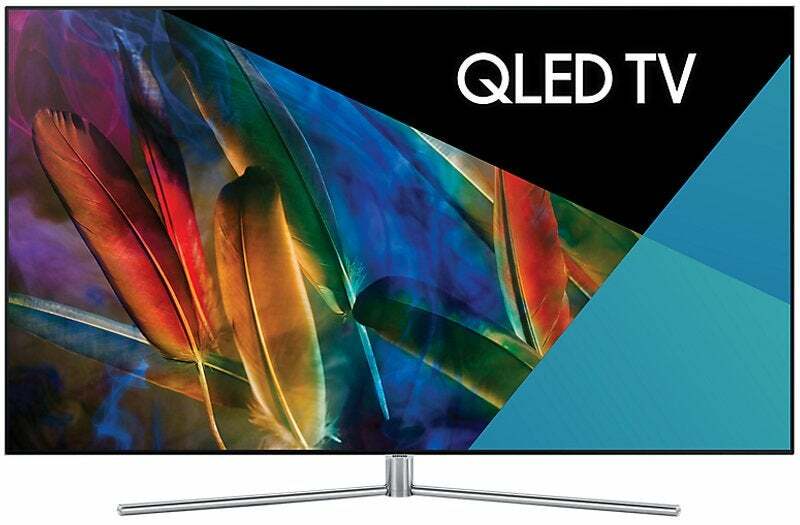 This QLED TV also comes equipped with Wi-Fi control, enabling you to stream Netflix and Stan as well as remotely control the TV via the Smart View App. It also allows you to watch your own videos directly, as well as play other content and games. It features one connect box for all your devices. Additionally, you can purchase the Samsung No Gap wall-mount, for a seamless look. In terms of TV energy efficiency, the Samsung 65-inch TV is rated four stars, with an annual running cost of around $159.60 (according to the Standard Test, based on a usage rate of 28.5 c/kWh). 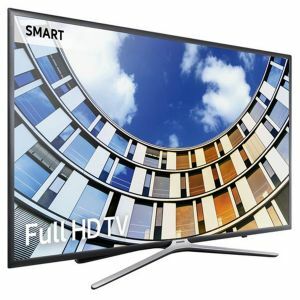 More on the budget side is the Samsung UA32M5500 32 Inch 80cm Smart Full HD LED LCD TV with a RRP of $749. 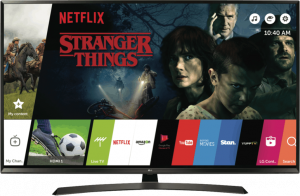 The 32-inch model provides full HD picture quality and Smart TV features, all for a pretty hefty budgeted price of just $579. While its more of an ‘entry level’ TV, it allows you to stream your favourite content from Netflix, Stan and the like. Samsung’s ‘Ultra Clean View’ algorithm, which this model is equipped with, is designed to provide clean incoming images of noise and distortion. This means it renders before it’s shown on your screen, even when the source isn’t completely HD. Working simultaneously with the Ultra Clean View, the Contrast Enhancer is there to add extra levels of colour depth to different areas of the screen. So, your favourite movies will be rendered in an “extraordinary” range of colour. Televisions are one of Hisense’s leading product lines and it generally rivals the big brands for colour, picture quality and price. There are a few budget friendly options to consider, which are detailed below. 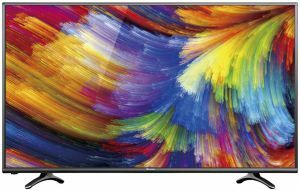 The Hisense 50N4 50 Inch 127cm Smart Full HD LED LCD TV typically costs $899, but can be found for as little as $749 this end of financial year. It’s a possible option for a small to medium sized lounge room or bedroom, and features wireless internet connection to stream Netflix and Stan. It’s equipped with high quality built-in speakers powered by DBX-TV audio, plus ‘PureColor’ technology, claimed to be designed to digitally increase quality, saturation and clarity of the picture. The 50-inch Hisense model provides two USB ports and three HDMI ports. Other features include a sleep timer as well as an on/off timer for convenience. It’s rated 5.5 stars for energy efficiency, consuming just 254kWh of energy per annum, which in turn adds around $74 to the average electricity bill per year. A larger Smart TV option, with a wireless internet connection, is the Hisense 55N6 55 Inch 139cm Smart 4K Ultra HD LED LCD TV. It’s typically sold at $1,199, but is sitting at around $879 at this end of financial year sale time. You can expect the same technology as the model above, including ‘PureColor’ Reproduction to render images as well as DBX-TV Audio technology. The inbuilt media player and USB connectivity allows you to enjoy your favourite videos and music while the PVR function lets you record TV shows for later viewing. Additionally, it features a sleep timer and on/off timer. For TV energy efficiency it’s rated 4.5 stars. 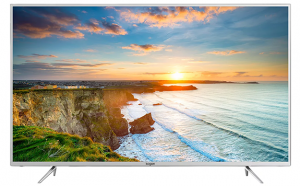 You typically won’t find a Kogan TV priced above $2,500 and despite the already cheap prices, you might score an even greater deal during the EOFY sales. 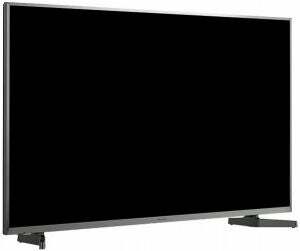 The Kogan 50″ 4K LED SmarterTV (Android TV, Smart TV) is usually $749 but has a sale price of $599. The 4K resolution with HDR is aimed to improve the level of realism in the picture quality. It features Google Assistant with voice search and Dolby Audio. It’s also boasted for built-in chrome cast, which allows you to cast streaming services from your phone. This supports streaming services – including Netflix and Stan – along with Catch up TV such as 7Plus and 9Nown. There are two USB ports and three HDMI ports that this Kogan TV is equipped with. It has a 3.5 star TV energy efficiency rating. Moving up a size, Kogan’s 65″ Agora Smart 4K LED TV (Series 9 MU9000) features a Bluetooth Soundbar and Samsung panel. Its RRP is $1,648 but it can be found for $1,249. The UHD 4K resolution and superior LED technology, means it provides four times the resolution of Full HD. 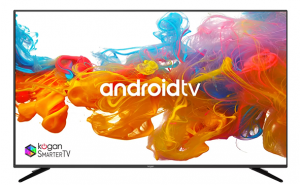 This Kogan Smart TV features Android 5.1, giving you a fast browser as well as access to thousands of apps on Google Play and the Cloud via the remote. It’s equipped with three HDMI inputs and two USB inputs for media playback. Additionally, it has a PVR system to pause, rewind and record live TV, as well as the ‘Next Gen Smart Remote’ with an air mouse and full keyboard on the back to help with searching. It has an increased TV energy efficiency rating compared to the Kogan model above, totalling five stars. LG is well-known for its big ticket home electronics, including TVs. And this EOFY sales time, it’s unlikely to disappoint those looking for a bargain! 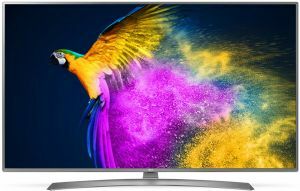 The LG 55UJ634T 55 Inch 139cm Smart 4K UHD LED LCD TV normally costs $1,399, but is likely to be had for as little as just $1,000 this EOFY sales time. This medium sized TV provides you with Ultra-HD LED 4K quality and Active HDR support. It features a quad-core processor for efficient processing speeds. As a standout feature, the LG Magic Remote allows you to control the TV with the following gestures – point, select and speak. It uses a Web OS 3.0 operating system and has Smart TV apps in-built. With the LG TV Plus app, you’ll also be able to control the TV even if you lose the remote. The 55-inch LG TV has a sleek, thin wall mountable design. It’s equipped with two USB ports and three HDMI inputs. For overall TV energy efficiency, it has been rated five stars out of six. For a slightly larger model, the LG 60UJ654T 60 Inch 151cm Smart 4K UHD LED LCD TV ($2,199 RRP) can be found for $1,533 this financial year. It’s another Smart TV with wireless internet connection. You can expect similar features to the model above, along with HDR10 support to deliver enhanced contrast. It’s also boasted for “6-Step” upscaling resolution technology to help bring lower resolution videos closer to the 4K look. It also features the same remote and operating system as the 55-inch TV above. For the additional cost, it comes with an extra HDMI port totalling to four ports and two USB ports. It has been rated five stars for TV energy efficiency, something you can expect on other TV’s from LG. Should you buy a new TV this EOFY sales time? While the TVs featured above might provide a great bargain this end of financial year, it’s important to consider if you really need a new flashy TV, or if your current one works just fine. The rapidly changing technology environment does impact TV prices drastically, with outdated models getting cheaper by the dozen. The more advanced models still sit above the $5k mark but you can score a good deal if you shop around this financial year. But a great deal is only a great deal if you actually need what you’re buying!